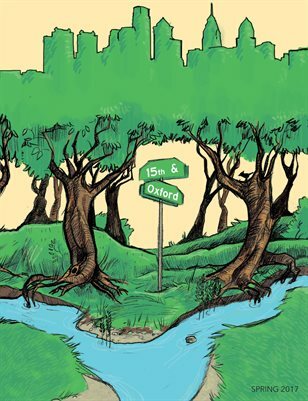 In this issue of 15th & Oxford, there are many stories behind the stories themselves as well as the storytellers. For example, "Birdfeeder" which kicks off the issue's poetry section was penned by James A. Freeman, a Pennsylvania Professor, who has authored more than five books - his latest of which ("Biblical Time Out of Mind") has been featured in the book reviewed section of this issue. Jack Nugent has become our first international submission, sending in thoughtful poetry and short fiction pieces from Brighton, UK. Meanwhile this issue's featured fiction piece, "Daddy This is Jimmy," was written a little more close to home by Joe Fizell - An 80 year old retired HVAC-steamfitter living in a retirement facility about an hour outside of Philadelphia, PA.
Each author has their own unique story, both printed on these pages as well as the metaphorical pages of their lives. Order your copy now to see what they shared.